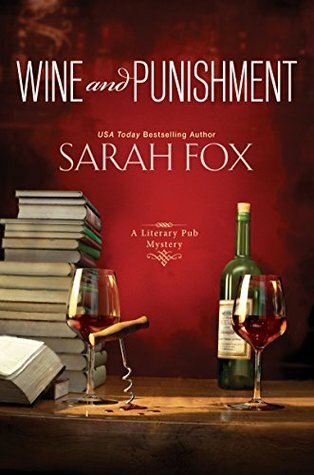 Wine and Punishment by Sarah Fox is the first book in the new cozy Literary Pub Mystery series. The setting for this series is just as it may sound, a Literary Pub owned by booklover Sadie Coleman who has opened the Inkwell in an attempt to restart her life in a new town. 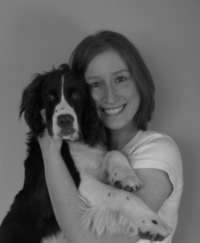 Sadie had lost her job due to a business merger and she had become fed up with dealing with her ex’s gambling addiction so she chose to move to Shady Creek, Vermont for a fresh start. Sadie’s bookish side put a spin on the Inkwell in which she serves up themed cocktails and hosts many book club events in her literary themed rooms. Enjoying her new life the last person Sadie wanted to walk in was her ex, Eric, so when she sees he’s shown up in her new town she dodges a confrontation heading out to her original plans for the night. However, when Eric’s body is found shortly after Sadie wishes she had taken the time to hear him out and find out just what brought him to her new town. Wine and Punishment was a solid start to this new series. The author did a nice job setting up a mystery upon mystery to solve and keep a reader on their toes guessing with plenty of suspects. I did find myself wishing I had developed a stronger connection to the characters in this opener, perhaps it’s due to reading so many cozies or that they truly did need more depth to them but so far no one was really standing out and making me fall in love with the charming town just yet but I would be interested to see what happens in book two. This looks like it could be a really enjoyable read. I don’t get a hankering for cozy mysteries often, but I have a feeling I’ll be checking this one out.